PUBG is the most popular PC game at the moment and it has already broken all the records set by all time players like Counter Strike Global Offensive, Dota 2 and Overwatch. It has reached a pinnacle where it is difficult to question the moves of the developer. 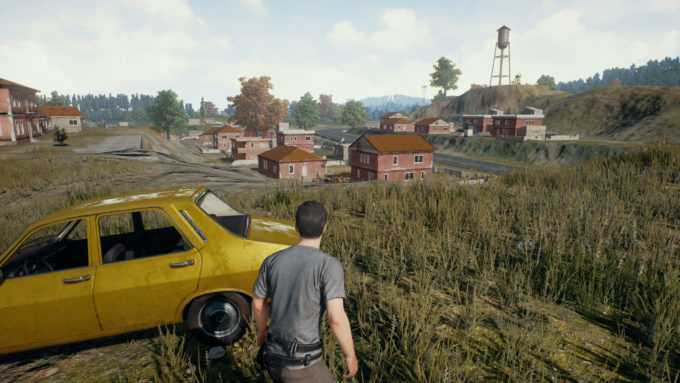 Playerunknown’s Battlegrounds is supposed to be a fun game with a large group of players but the strategy in the game is about to change if this trend is to continue. Lootboxes have become part of every title even though Electronic Arts is the only company to take the blame for not being gamer friendly. Even the most popular PC game of all time has lootboxes using which you can purchase rare cosmetic items. The only good news is that it wouldn’t directly affect the gameplay experience and has been designed to keep gambling at the lowest possible rate. However, it is not working as intended because the developers have openly confirmed that they are going to keep some of the rare items really rare that has led to players selling it off in the Steam market for exorbitant rates. Some of the simple yet cosmetic changes such as a uniform set for the female characters, has gone all the way up to $992 and people are actually buying it so that they could look different from the rest of the player community. PUBG is definitely in a gray area right now and it is only bound to increase in the near future as these items are never going to be made available in any other way. The game has been very transparent about how unique and rare their products will be.Counter Strike Global Offensive has its fairshare of gambling controversies and so does Team Fortress. But, in majority of these games they wouldn’t provide players an idea of how rare a particular item in. 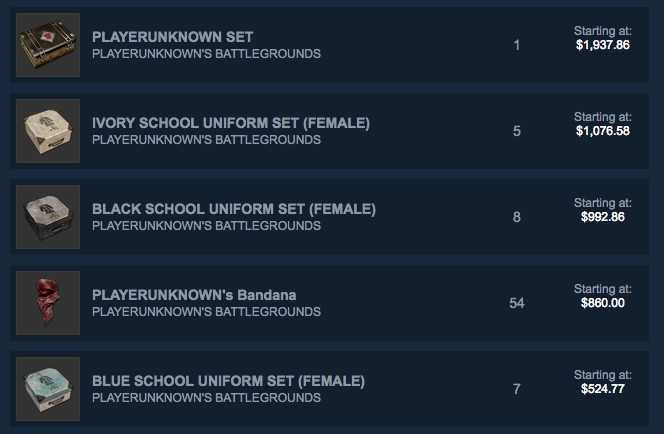 In case of PlayerUnknown’s Battlegrounds, the stake is much higher because the developers confirm it is never going to be available which enhances the value of these rare items and thus leads to an increased cost that sometimes even touches $2,000. Once someone makes the purchase they are going to keep it forever and even if they wish to sell it, they would price it much more than what they purchased it for keeping it expensive all the time. Steam is expected to look into this to avoid players from betting and gambling on rare items.